There is one thing that you can do in your business that I guarantee will make a huge impact on your marketing effectiveness. This seems like a very small thing, but I guarantee it will work. Conversely, if you don’t do it, you risk losing business. Are you ready for this? Here it is: treat your customers with respect. That is it! In marketing, I tell our customers that there are four reasons that a customer you have sold for the first time will return to purchase from you again. First, did you provide them with a quality product or service? If so, you have passed the first test. Second, did you sell it to them at a reasonable price? If they feel like they paid a fair price, they will consider buying from you again. Third, did you deliver it on time? People do not like to wait for anything these days. Over-promising and under-delivering on time will get you into hot water. But if you were able to get it to the customer when they expected it, you have scored points with them. The fourth part of retaining customers comes down to how they were treated by the people that make up your company. We typically call this customer service and it covers a wide range of customer/employee interactions. It envelopes such things as how long they have to wait before you respond to them, the tone of your voice when they are having problems, if you try to answer their questions and how you make them feel during that process, if you approach them and shake their hand or wait for them to come to you when you see them face-to-face, etc. When you drill down into it, everything we do in marketing to retain customers can fall to pieces if you don’t have good customer service. Have you ever played the game Jenga? 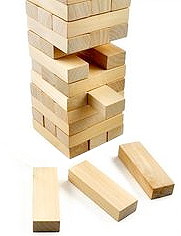 You take turns pulling an oblong block out from under a stack of blocks and then placing it on top of the others. Eventually you will pull out the block that the others are resting upon and the whole thing comes tumbling down. Customer service is that block in your marketing plan. You can have the very best product, a great price and a no-waiting delivery, but if you disrespect the customer, guess what? They will never do business with you again. Most people don’t look at customer service as a part of marketing, but it is integral to all you will do to get customers to continue to buy from you again and again. I could name you five companies off the top of my head that I will never do business with again over this very issue. I presume you could do the same. So if customer service is so crucial to retaining customers, why is it we don’t put more marketing dollars in our budget to train people on simple courtesies that will make a big difference? Companies will spend money on sales training; put a lot of thought into the four P’s (Product, Price, Place and Promotion) of the items they have to sell. They put a lot of emphasis on the logistics of moving products from supply to end user. But customer service often gets pushed towards the old clichés – the customer is always right – or the current slogan that someone in a boardroom has devised and no one really buys. If you want to make a real difference with your customers, you need to do these three things very well. Let me talk about each of these briefly. Upbeat personalities are rather countercultural these days. We are in an election year. Do you hear a lot of positive things being said? No, negativity rules the day. But I believe people long for the positive, not the negative. When you have an uplifting personality instead of tearing down everyone, you will find that people are drawn to you. I am not talking about faking it. Phony optimism is pretty useless. But in most situations, I have a choice of looking at the glass as half full or half empty. Be the half full person with your customers. Be a problem solver. The reason people buy from you is they cannot or are not willing to do what you do for them. In this way, you are solving their problems. They have a need that you can fix. Base your customer service on doing just that. Approach customers with an "I can make this work for you” approach and see what happens to your retention rates. Ask your customers what they think of your performance as a company. Whether you are producing a product or offering a service, find out what you could do better. This gives the customer the opportunity to air their grievances for sure. That is a good thing when your marketing is based on customer service. This tells you what their expectations are and what you need to do to meet those expectations. Otherwise, people will leave you and you will keep on making the same mistakes that will drive other customers away. Customer service comes down to respecting your customers. Do it well and you will see a huge difference in your marketing effectiveness. 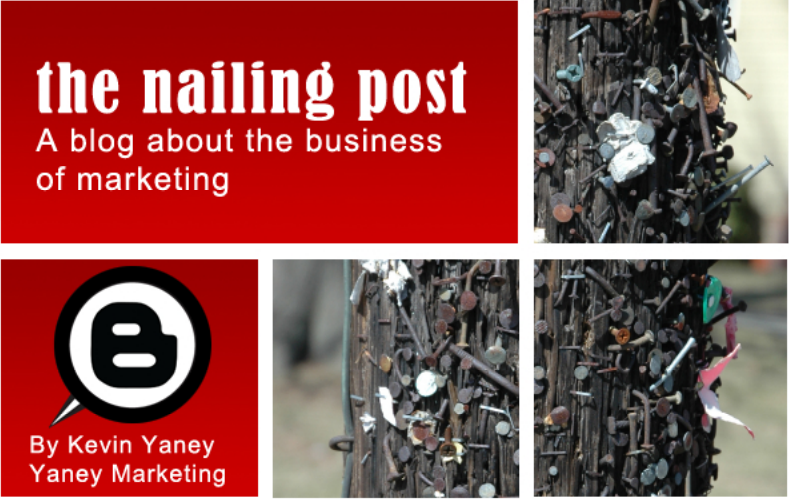 Fail to do it and you will find no amount of marketing will save you from the tumbling blocks.